At Pacha, Wednesday, from 29 May to 2 Oct. Make like the flower children of the last millennium for this unique Pacha party. One of the most noteworthy parties on Ibiza is Flower Power with its happy hippy vibes. While it is probably one of the lesser known to the majority of outsiders who visit the island, it's easily one of the most popular amongst those in the know. This party defines the spirit of Ibiza and is all about freedom, peace, happiness and music. With its unique atmosphere, it is sure to leave you with unforgettable memories. One champion example is the time every single person in the club joined hands whilst chanting John Lennon's Give Peace A Chance. Supreme! Flower Power maintains its essence while moving forward, bringing with it lots of surprises.The party spans the decades to deliver the magic of the 60s, 70s, 80s and even the 90s. With a regularly renovated and unique décor, Flower Power also brings plenty of interactive performances to further enhance the sparkling night. This summer, DJ Victor Nebot is in charge of serving up the Flower Power tunes. Past line-ups have included special sets by international DJs such as internationally renowned artist and producer Armand van Helden, Bob Sinclar, Erick Morillo and Louie Vega. 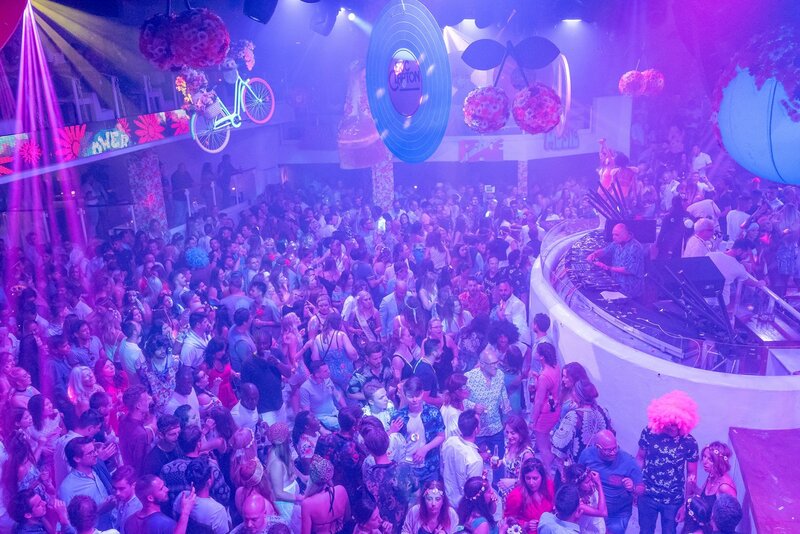 In 2019 the popular party returns to Pacha for a 39th season every Wednesday from 29 May to 2 October, adorning the cherry world with peace symbols and much more. See below for full details and tickets.